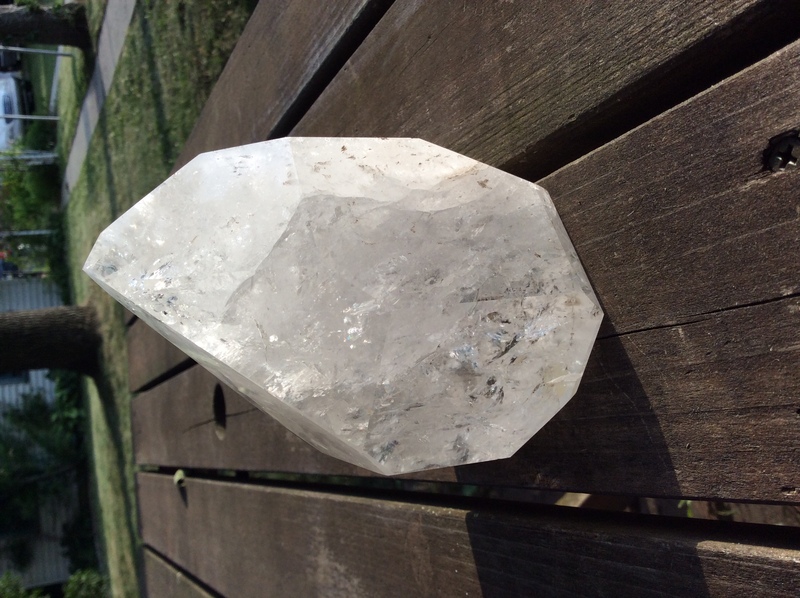 can someone identify a crystal? 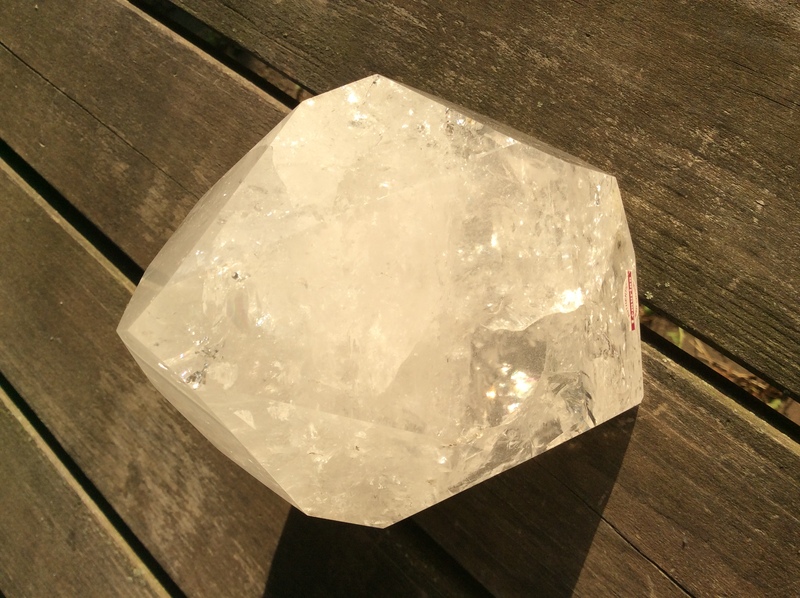 Posted: Tue Jun 21, 2016 10:13 pm Post subject: can someone identify a crystal? 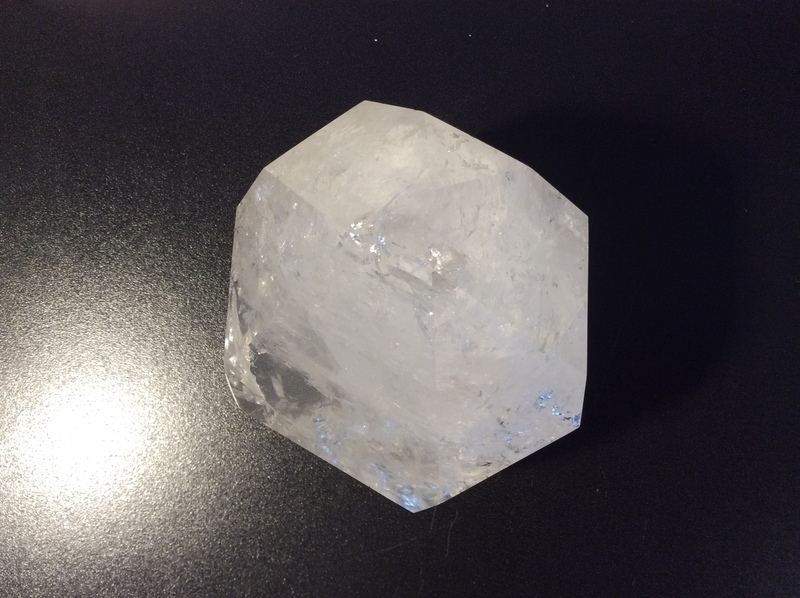 This may sound like an odd question, but if I can get some good pictures and figure out how to post them, can someone tell me about this "crystal" that I have? Or is there another forum that someone can point me to so I can ask? 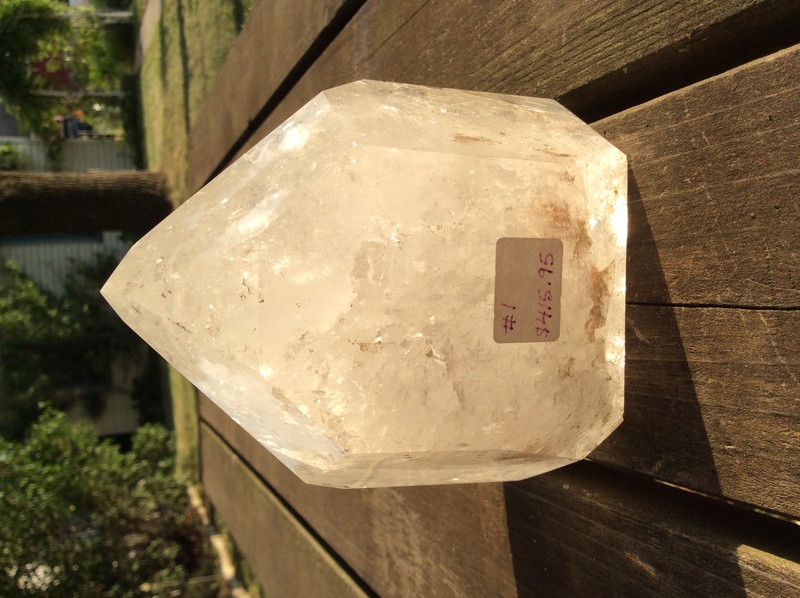 I bought this crystal a few years ago. 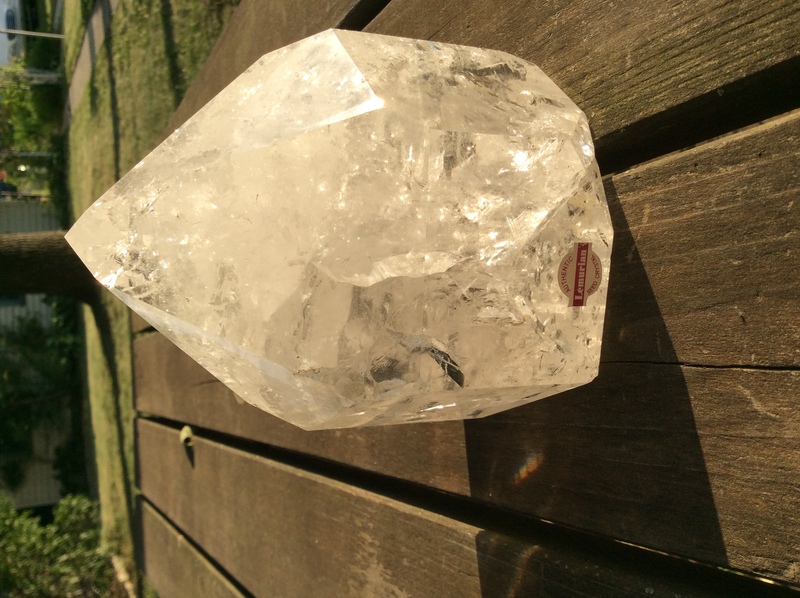 It has a sticker on it that states it's an "authentic lemurian seed crystal," but I'm not sure to believe it by the information I've found on lemurian's. It doesn't have any striations that I can see, for one. Then again, it's highly polished and has a lot of inclusions, but I would think you could still see the striations regardless of that. It's not long like a wand, for another. 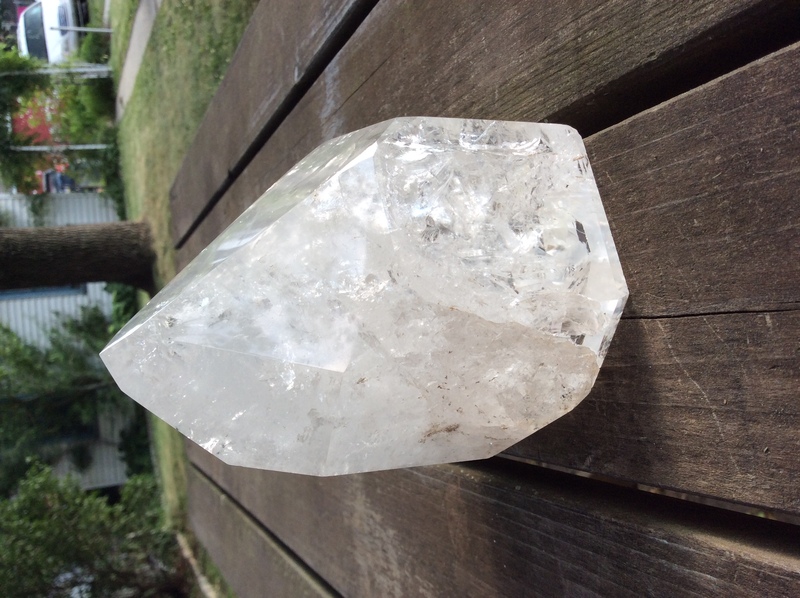 I sometimes doubt is natural, except it has dirt in a few places in the crystal, so I'm pretty sure it's not man made because of that. I actually have two crystals, and I was looking to see if they were generators or something else. I can't figure that out with this one, either. 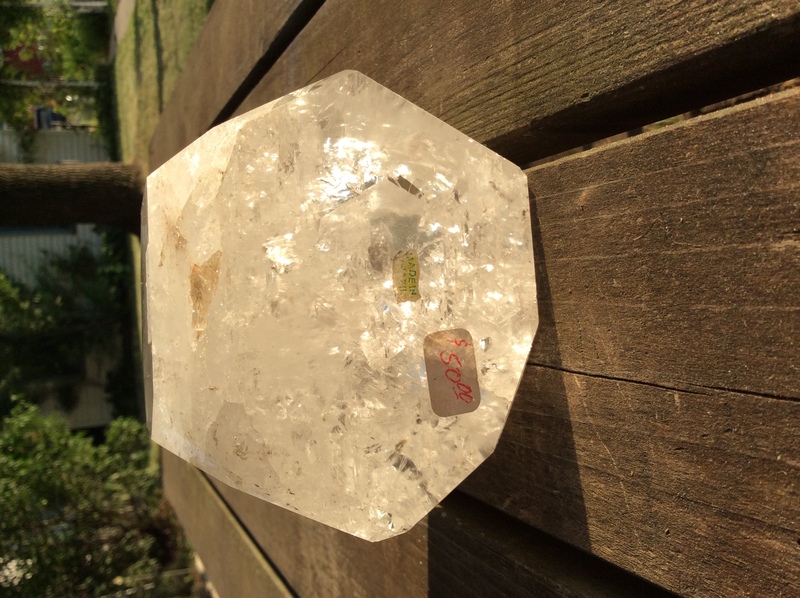 Maybe it was dropped before I bought it and it broke, but the Facets(?) at the tip aren't equal. At least I don't think they are. I know I'm not very knowledgeable about it. I have searched a few times to see if I could figure it out, but, like I said, I'm not very knowledgeable. I decided to take some pictures and post them. Hopefully I do this correctly. Please ignore the stickers. 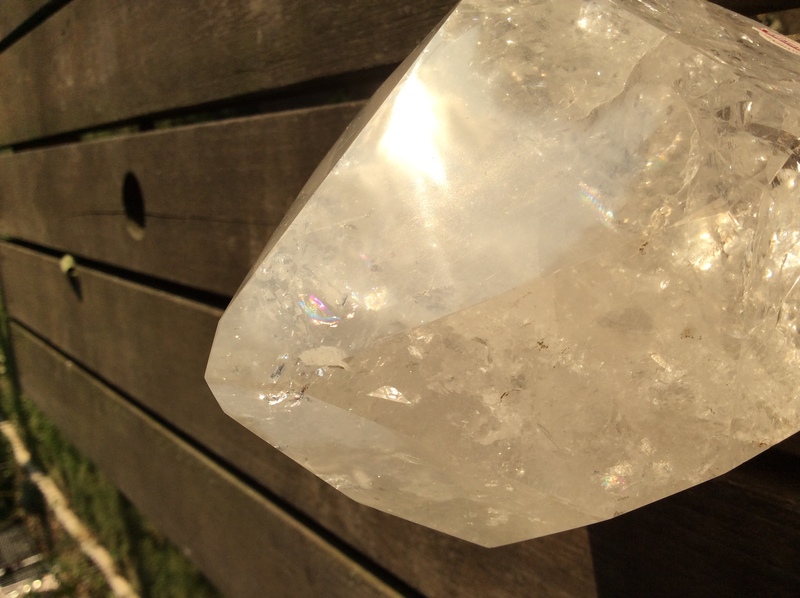 The crystal IS clear. Picture 5 shows the dirt that is in the crystal. Picture 6 was taken of the bottom. Picture 7 a rainbow showing in the crystal. Picture 8 shows a view of the crystal from the top. I think the only disappointing information anyone could give at this point is to tell me that it's actually made of glass.